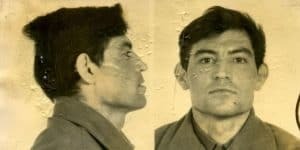 The Vasyl Stus Freedom to Write Award recognizes a writer persecuted for the peaceful expression of his or her views and whose courage in the face of censorship and oppression is exemplary. The award is named in honor of Vasyl Stus, a leading Ukrainian poet of his generation. Previous winners of the award include Recep Marasli, Ferida Durakovic, and Philip and Daniel Berrigan. 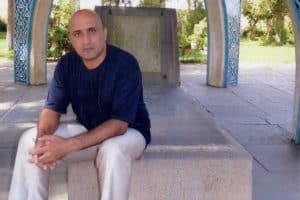 The 2015 Vasyl Stus Freedom to Write Award was posthumously awarded to Iranian political blogger Sattar Beheshti, whose torture and death in 2012 at the hands of Iran’s cyber police drew international outrage and became a rallying point for the Iranian dissident community and free speech advocates around the world. We paid tribute to Beheshti and other Iranian writers and dissidents who exhibit monumental courage in the face censorship, oppression, and death. Shirin Ebadi, the Iranian human rights activist and 2003 Nobel Peace Prize Laureate, delivers a message about Sattar Beheshti, the young blogger who was tortured and killed in 2012 for criticizing Iran’s regime. The 2019 Emerging Voices are at @thevirgil this Saturday @ 8pm for their mid-program reading! Check out what fellow @Anthony_B_Hoang has been working on since the first reading.